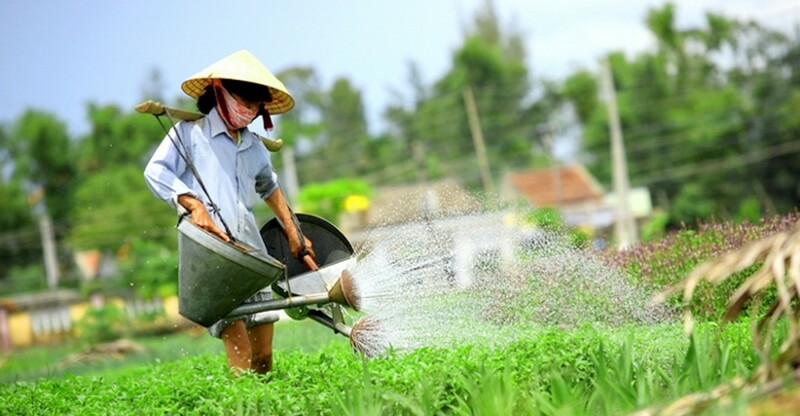 Located about 3 km from Hoi An center, Tra Que Vegetable Village is home to dozens of vegetables for the old town as well as other areas. 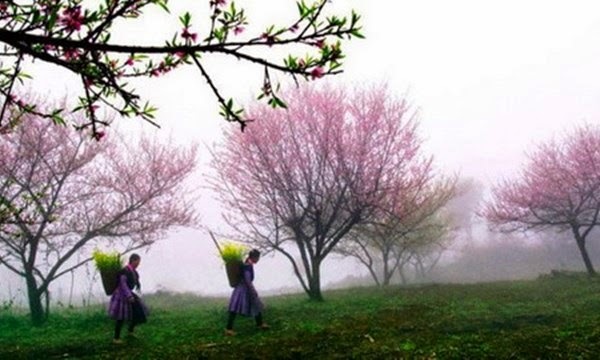 This is a very popular tourist attraction, three famous vegetables in the village include purple basil, flagrant knotwed and coriander. 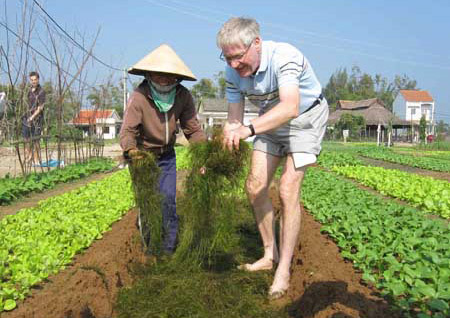 Vegetables here are planted in clean process, the soil is fertilized with seaweed from the rivers. 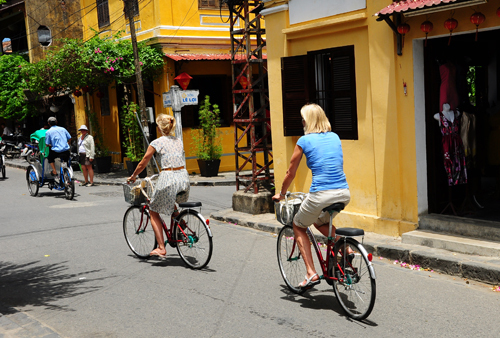 Tourists can buy tours to Tra Que vegetable village or go by motorcycle or bicycle. Here, you will experience the work of vegetable growers, hear the introduction about the vegetable fields and the process of care. 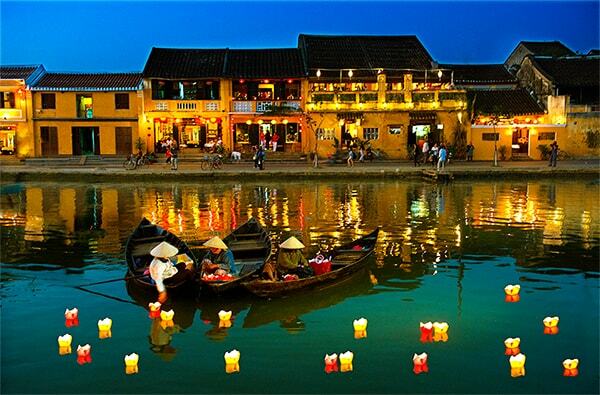 Hoi An’s old town scene becomes more and more attractive in the evening, when thousands of lanterns are light up. 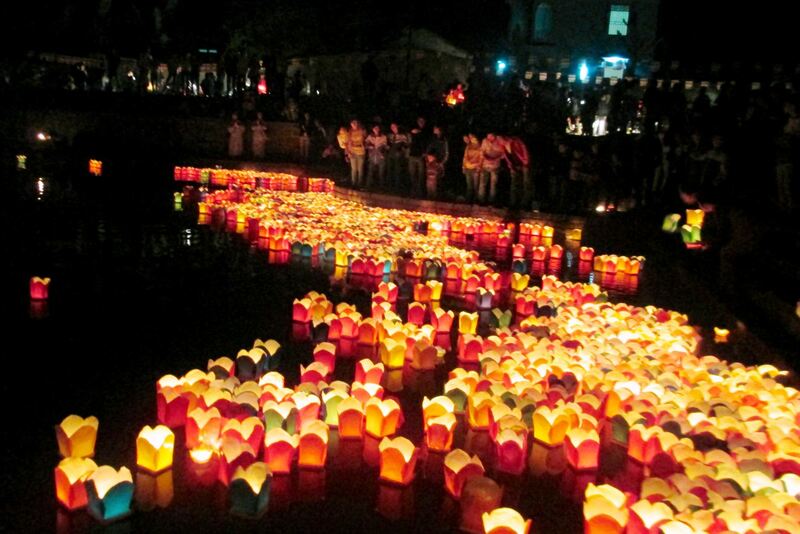 On the first and 15th lunar month, visitors can join the dropping coloured lanterns festival on the Hoai River. 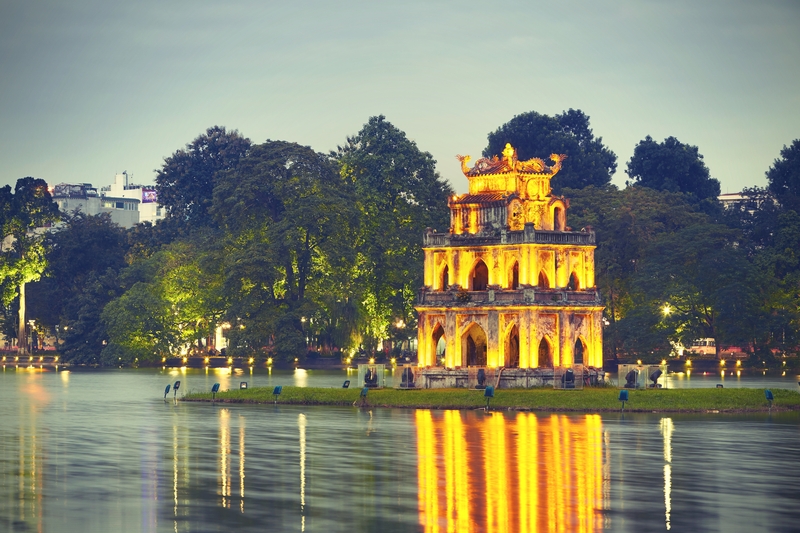 The calm and quiet Hoai River suddenly bright up with hundreds of coloured lanterns. Currently, coloured lanterns are still available for sale on weekdays, so you can buy and drop down with your wishes. After walking around the old town, you can stop at a street cafeteria for a refreshing drink. The coffee shops in Hoi An is not too wide but is decorated with nostalgic style with deep brown tone makes the space more simple but very close to everyone. When entering the restaurants, customers like to get rid of the bustling, noisy to mix into the quiet space and smell of coffee aromatic. Guests can choose the 2nd floor restaurants to view the entire landscape. 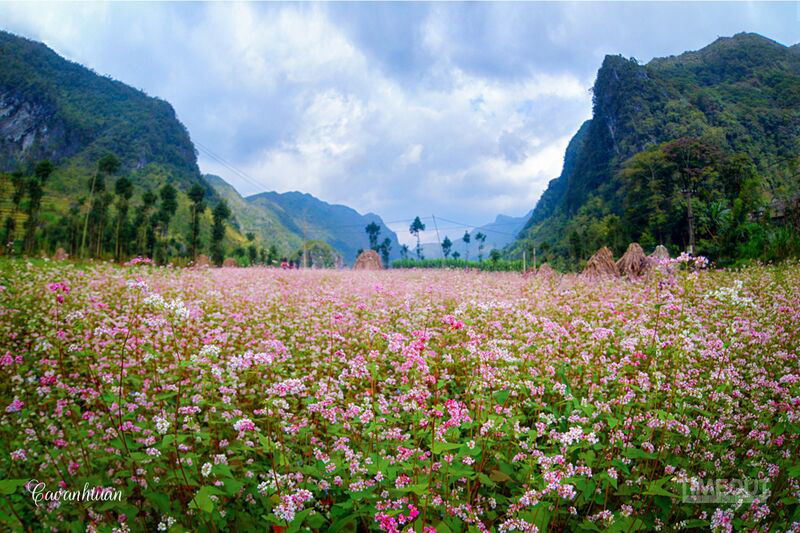 Located about 3 km from the center, Bay Mau coconut forest gives visitors feel like visiting the South of Vietnam. 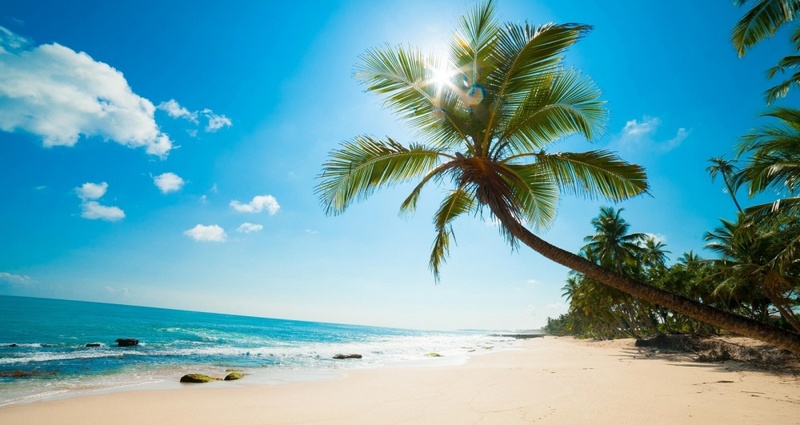 The coconut forest is next to 3 rivers: Hoai, Thu Bon and Hamlet river. 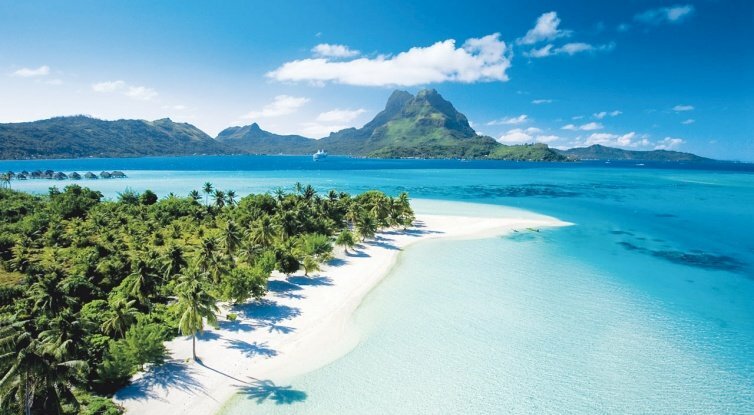 When you come here, you will be sitting in the round boats and go inside to explore. 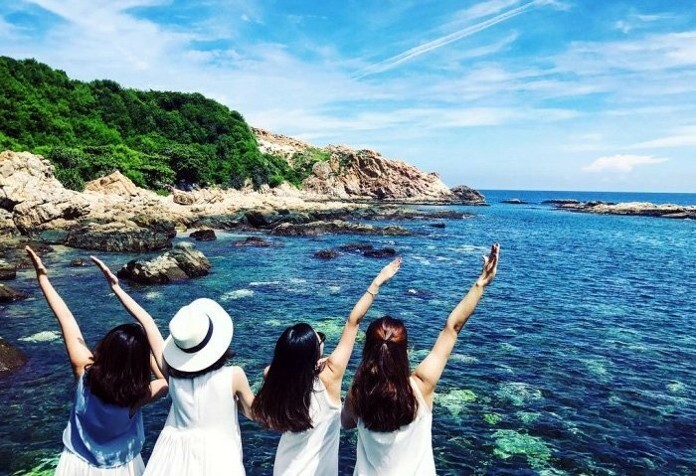 When sitting on a round boat, tourists will be guided to make rings and wreaths from the leaves of coconut trees … For those who first go by the basket boat, can experience this unique boat by yourself. Located about 3 km from the center, coconut forest in Bay Mau gives visitors feel like visiting the river in the South. The coconut forest is next to 3 rivers: Hoai, Thu Bon, Hamlet. When you come here, you will be sitting in the basket and go inside to explore. 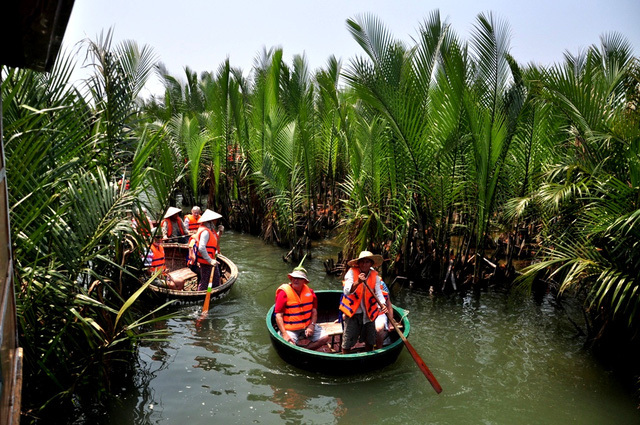 When sitting on a basket, tourists will be guided to make rings, the first round from the leaves of coconut water … For those who first go to the basket boat, can experience this unique boat paddle experience. 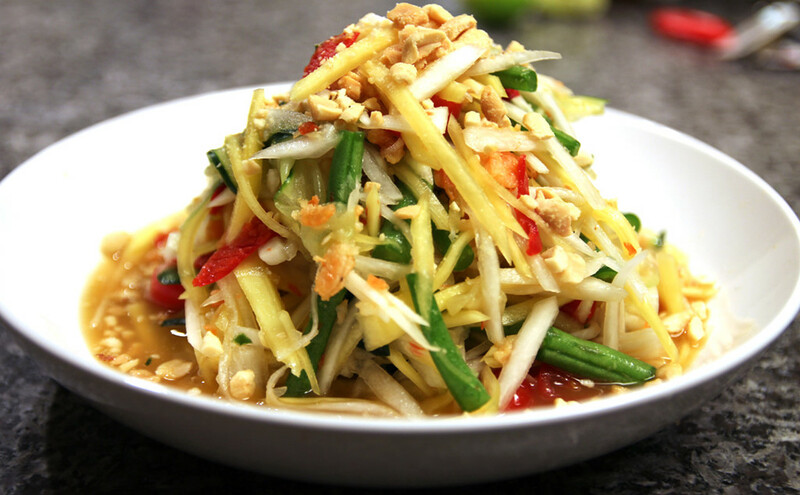 If you are a gastronomic lover, Hoi An is definitely the place to enjoy its specialties. Do not forget to eat bread Phuong, eat chicken rice and Quang style noodle soup, especially fried wonton which many tourists have choose it. In addition, on the streets along the old town also sells cakes, pancakes, baked cake and Pan-fried scrambled egg rice cake, etc. Boat used to transport passengers on the river completely paddle by hand, not using machinery, so visitors feel the tranquil atmosphere of the old town. You will see the scenery along the river with the old houses hundred years old, the flow of bustling lives of people here. When sitting on the boat, visitors also hear stories about Hoi An and life here. This experience is even better when you take a boat in the evening. 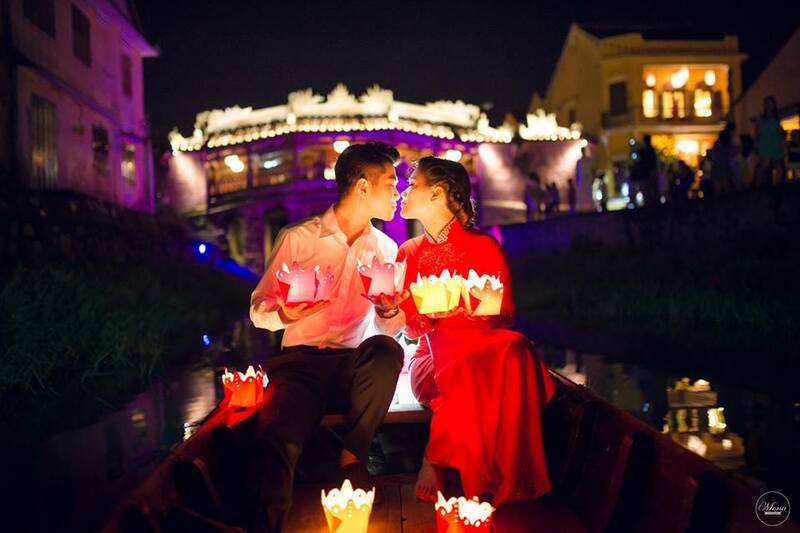 Lantern lights down the river glittering with the lights floating on the water will be hard to forget in the travelers’ hearts. Hoi An has a lot of attractions for the domestic and abroad tourist, one of them is the tailor shop, which making clothes, shoes, bags, slippers, … and you can pick up in the same day. 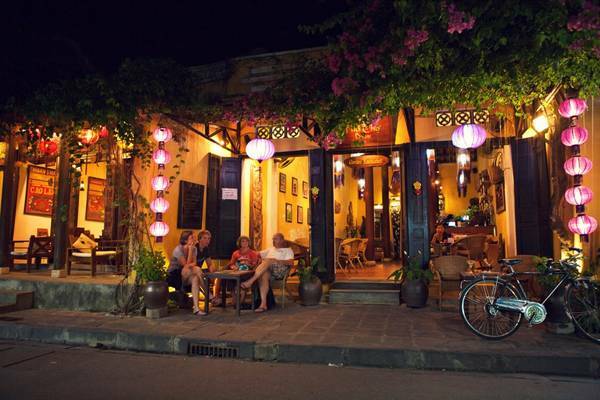 Forbes has honored one of the “hot” shops in Hoi An by unique and professional service. After about 4 hours, visitors can get the item that you just ordered. Hoi An’s fashion style is very unique, trendy and prices range from $ 15 to $ 100 (equivalent to $ 350,000 – $ 2.2 million VND). 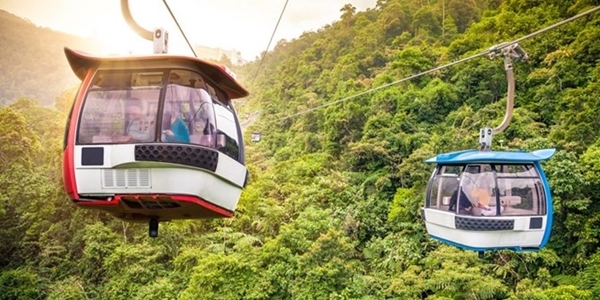 If you have the chance to visit Hoi An, try exploring the experience above. It will be a memorable journey for everyone. 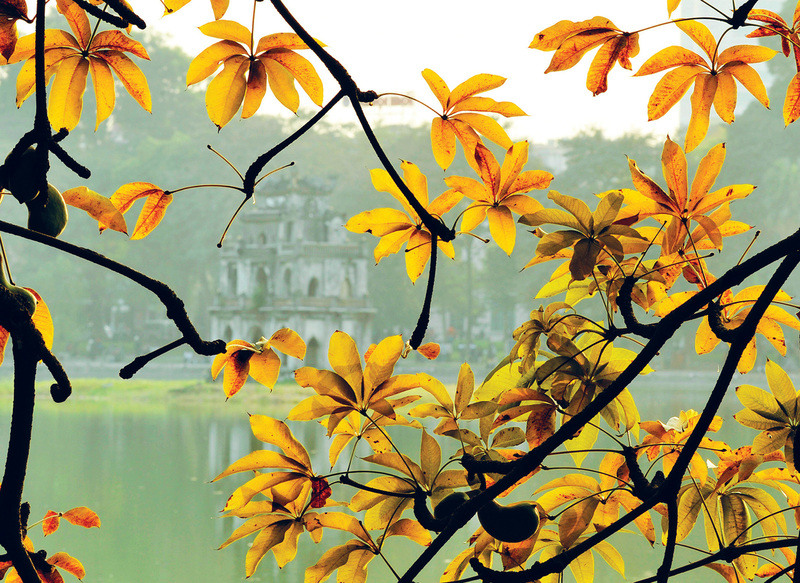 Do you want to go to Hoi An, don’t you?